A professional dental cleaning is a procedure done by your dental hygienist or dentist to improve the health of your gums and teeth. Your dental professional will use special tools to remove plaque, tartar, and bacteria that you are unable to efficiently clean yourself. This procedure is recommended at least two times a year, for people with healthy gums, to successfully evaluate your oral health. At these visits a screening for periodontal disease, an oral cancer screening and a screening for dental caries will be performed. There are many things that can damage the pulp or nerve of the tooth. 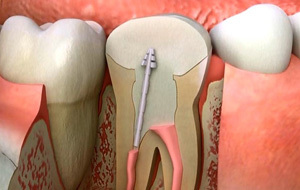 The following are some of the more common reasons for needing root canal treatment. There are other causes of symptoms that are similar to those requiring root canal treatment. Call Britsch Family Dentistry to schedule today. 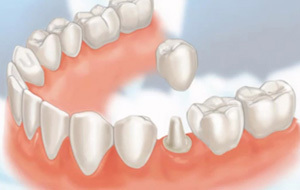 When a damaged or decayed tooth is removed, both the visible part of the tooth, called the crown, and the root are lost. A dental implant is placed in the jawbone so that it can fuse with your natural bone and become a strong and sturdy foundation for replacement teeth. Call Britsch Family Dentistry to schedule today. 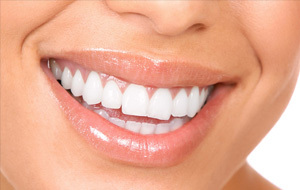 With over 50 years of experience between us, we offer a wide selection of dental procedures. We can provide many treatments, from oral surgery to endodontics and many more. We understand that dental visits can be a source of apprehension for many people, and that is why we do our very best to make your experience as comfortable and pleasant as possible. Dr. Ronald W. Britsch, D.D.S. Dr. Ronald W. Britsch Jr., D.D.S. When you come to Britsch Family Dental, you'll find is an experienced team ready to help with a comprehensive range of general, cosmetic, and restorative dentistry services. Regardless of your needs, we have a service that can help you, whether you just need a checkup, or whether you need to improve the appearance or functionality of your teeth. As your dental wellness provider, we are committed to a gentle and caring approach that focuses on the aesthetic beauty and long-lasting health of your smile. We understand the connection of your mouth to your overall wellness, and go to great lengths to provide the most advanced care that we can, in a comfortable office setting. Britsch Family Dentistry is socially active and we want you to be a part of our online interaction world. Find us, poke us, "like", and keep up with us.